Nip + Fab is a budget beauty brand owned by the people behind Rodial and earlier this year they launched a plethora of makeup products that included a Highlighter Palette. I love this palette; it contains six large pans with a good range of powder highlighters to suit dark skin tones. The powder is finely milled feels very soft on swatching. It applies easily with a brush and I find it blends easily into the skin. It is not chunky and doesn’t highlight texture on skin. The sunbeam shade looks amazing on my skintone and all the shade double as inner eye highlighters too. The range of shades will compliment dark skintones and makes the palette very travel friendly. I also like the packaging because it is transparent so you see what’s in there before picking it up. You also get a good amount of highlighter in each pan. 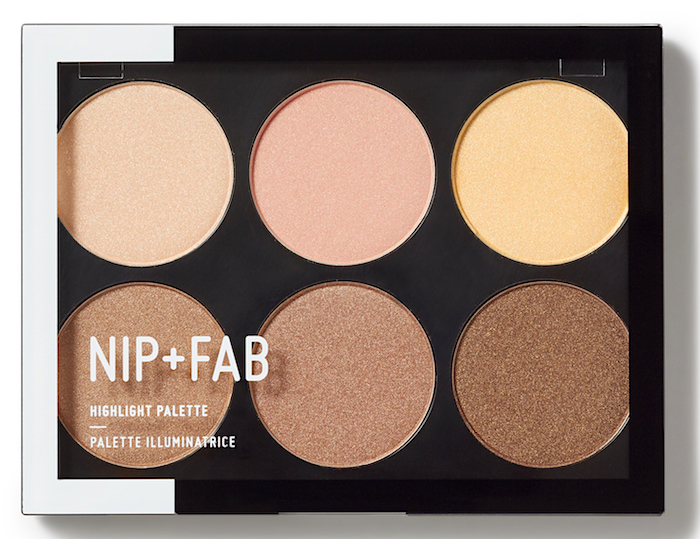 Nip + Fab Highlighter Palette Stroboscopic is priced at £15.00.